The madness of WW2 lead mankind to create an ultimate weapon, the atomic bomb. The first atomic bomb test was set for July 16 1945 in the New Mexico desert at a sight called Trinity. On July 23 1945, President Truman signed an order to use these atomic bombs on Japanese civilians. In Buddhism, there is no concept of war. These monks believe that everything in the universe moves in a circle, what goes around comes around. They believe that the first atomic bomb test in the American desert on July 16 1945 opened a new circle in the universe, one that would lead to the end of all living things. 22 days later the circle of death found its way to Hiroshima killing 200,000 people, and three days after that, it continued, killing 77,000 people in Nagasaki. After the atomic bomb destroyed Hiroshima, Japanese monks who had been away, returned to find the city on fire. From the embers of one temple, a flame was candled and kept burning. This is the atomic flame which embodies the essence of the atomic bomb. To hold this circle of destruction at Nagasaki, the monks kept the atomic flame alive praying that their self sacrifice would somehow stop it from ending all life on the planet. If the flame was returned to the exact place where it was created on the day marking 60 years since the circle opened at the Trinity site, the circle could be closed. The "Cause" and "Effect", "Fate" and "Destiny" would be broken. The atomic flame in Hoshino, Fukuoka Prefecture, kept alive since the atomic bombing of Hiroshima, was used to light a lantern and this flame was taken to the United States. The flame was carried on foot from San Francisco to Trinity Site in New Mexico, where the world's first atomic bomb test was performed. Source : Atomic Flame, a movie by Matt Taylor, television producer, and representative of the Global Nuclear Disarmament Fund. "Atomic Flame" ("Gate" in Japanese) is the dramatic footage of the 2,500-kilometer-long walk across the desert and over mountains. The journey began on July 16, 2005, the test date anniversary, and ended on Aug. 9, the anniversary of the atomic bombing of Nagasaki. Upon arrival at Trinity Site, the borrowed flame was ceremoniously extinguished as 125 people, including Japanese monks as well as American citizens who were exposed to radiation near nuclear test sites, looked on. 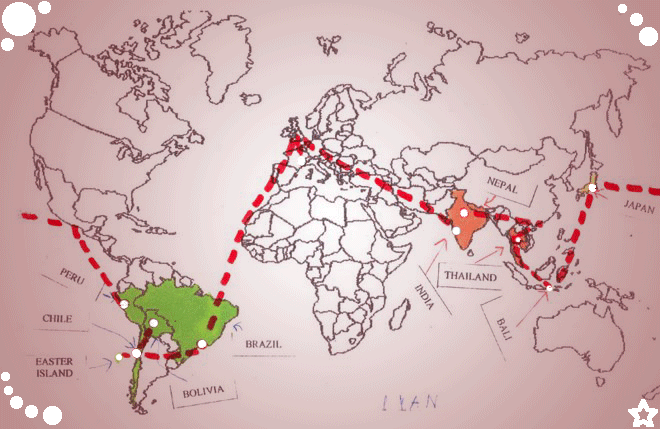 The 25-day-trip was made into a one hour, 40 minute film. The people of Nagasaki continue to pray that they would be the last city ever subjected to an atomic bomb attack. Matt Taylor wants to open the gate of people's hearts through the film.